New to gift cards or in need of gift cards in a rush? 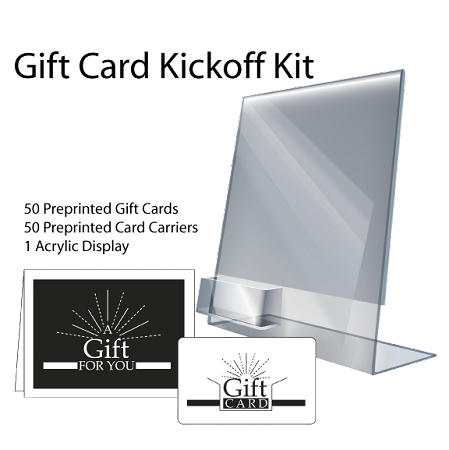 The gift card kickoff kit is the perfect solution for businesses looking for a quick and easy gift card solution. This product has been priced extremely competitively to allow customers to start a gift card program right away with limited investment.